We Always Have A Choice! 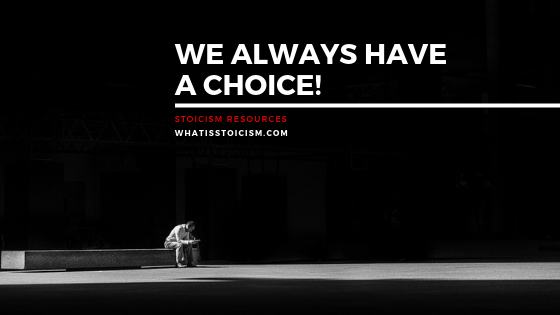 - What Is Stoicism? Keller walks over to the window and looks out at the devastated town, half-deserted. A few folding tables set up under a tent in the park to serve as a grocery store, untended trash blowing across the street. Why does she want to fight and die for this wasteland? Erika picks that moment to come in. She wears jeans and a hooded sweatshirt and has her AR-15 slung over her shoulder. 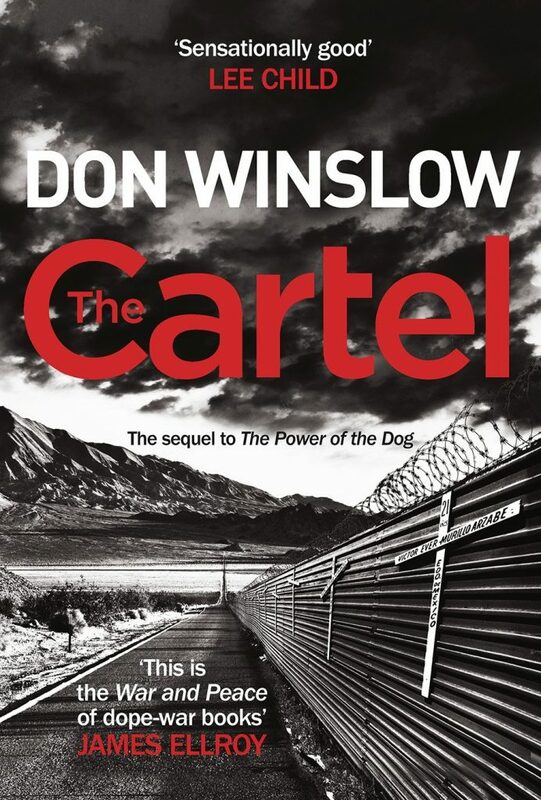 The above passage from Don Winslow’s epic novel The Cartel comes as the tension in the story is being ratcheted up to breaking point. DEA agent Art Keller is trying to convince Marisol Cisneros, the acting mayor of Valverde (a position she assumed because no-one else was brave enough), to leave the near-deserted town. Valverde is mired in the battle for supremacy between local drug cartels and on account of all the killing and destruction, most people have fled while they still could. Marisol has just appointed 19-year-old Erika Valles as the town’s chief of police, being as she is the town’s only police officer. With her four predecessors having been killed by narcos and the rest having fled, no one else fancied the job. The narcos meanwhile post threats directly addressing Marisol, telling her to leave or face the lethal consequences. With the future looking ever bleeker, Keller tries to ensure the women’s safety by urging them to cut and run. But with everything stacked against them, and seemingly no options from which to choose, they do the most Stoic thing possible – they choose. Epictetus could hardly have put Marisol’s words better himself – “We always have a choice!” What the Greek philosopher did say is that there is only one thing which is fully our own, which is our will or choice, and that lines up perfectly with Winslow’s scene. Prohairesis is the ancient Greek word that Epictetus would likely have banded about and specifically represents the choice involved in giving or withholding assent to impressions. In other words, you can’t be harmed by a situation unless you choose to be. If you are harmed then that is due to your impression of the situation. Being harmed physically of course is another matter as that may be outside your control, but you can still choose how you react in the aftermath. The other person who becomes a Stoic (in my head at least) in the quoted passage is Erika. In the name of duty she has presented herself for a job that carries an almost certain death sentence. She has nobly stood up to serve the good people of Valverde who need protection from narcos, no matter the consequences. As Marcus Aurelius wrote in his Meditations, “Men exist for the sake of one another”. Erika’s brave act is a stark one that strongly impacts the reader. However, it is the two words she says at the end of the passage that I find to be perhaps the most powerful in the entire book. Keller tells Erika that no one would blame her for leaving such a dire situation. It reveals more about her character than reams of narrative ever could when she simply says, “I would”. The terse reply is one of someone who is not a slave to outside circumstances, but is instead choosing her own freedom regardless of the precarious position that puts her in. Epictetus was born a slave. His study of Stoicism during that time, however, afforded him the same freedom that Erika displays in The Cartel. Epictetus was able to develop the attitude that, regardless of any threat to him physically (and he was crippled while a slave), he always had the freedom to control his mind. When he later led his own philosophical school, his teachings revolved around this concept of freedom of choice to think a certain way. Perhaps Marisol Cisneros and Erika Valles found their freedom after reading Epictetus’s Discourses or Enchiridion. It speaks to Don Winslow’s story-telling that I even want to ask that question of two fictional characters.